Buying fly fishing gear is not merely about catching more fish. For some, it’s more like a shopping or hoarding addiction. For others it’s about status. For each of us, purchasing new fly fishing gear means something slightly different. This week, we discuss some of our recent purchases, what we plan to buy next, and what it all means in the small (not grand) scheme of things! Click now to listen to this week’s podcast. What gear have you purchased this past year? When do you find the best deals on rods, waders, and other gear? What recent purchase was something you’d recommend? Is the 5 Weight Rod the Best All Around? You are probably right. We are always trying to blend SEO (search engine optimization) needs with clearly communicating the promise of the podcast/article. We may have missed the mark. Nice pod cast . . My question is there ever enough gear lol . Steve I also have the new LED head lamp. They come in really handy . Don’t know why I didn’t purchase them sooner. As far as new gear I’ve been looking into cold weather clothing to go under my waders the older I get the softer I get I guess. Maybe a nice new pair of wading socks . Time to throw hints towards the Mrs so she can get her Christmas shopping done early lol. Just one more thing to say. I realy look forward to your pod cast . I admire the friendship you both share . I like the humor and stories you both share . Thanks for sharing . Until next time . Tight lines. Thanks, David. It’s always great to hear from you! 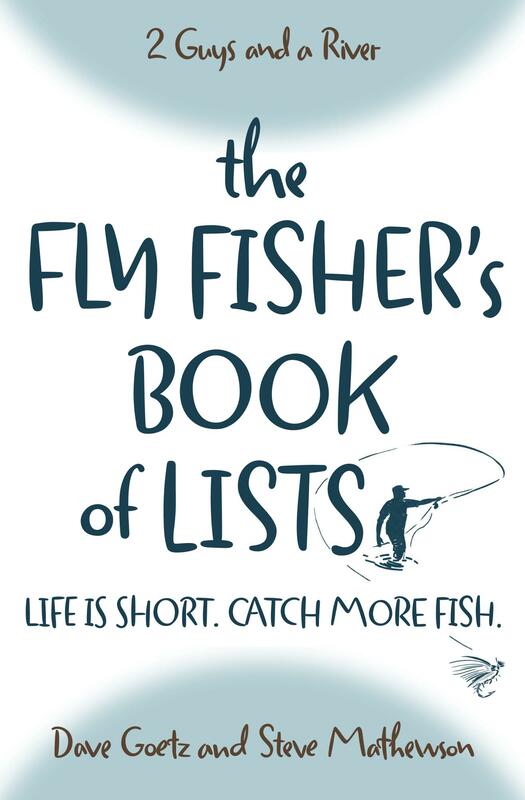 Yes, it’s that time of year to put together our fly fishing Christmas list. And like you, I don’t know why I didn’t get a headlamp sooner! A future podcast episode might be a discussion of useful web resources such as that site, forums, etc. Haha, that’s right, Kevin! And yes, that’s a great idea about a future podcast.